Here is the RSS feed of the vidcast I am proud to submit as my final project. “Whew, cool.” See you all in class. 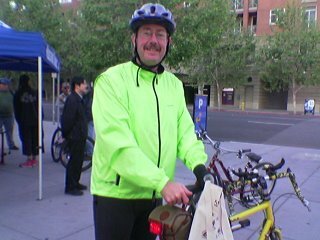 Did you ride your bike to work today? I did, and it was a great day to ride. This energizer station was set up at the corner of Fourth and San Fernando on the northwest corner of SJSU. They had coffee, fruit, powerbars and cake as well as a bag and handouts for all cyclists. What a great way to start the day! Here’s your chance to attend the Silicon Valley Podcasting Meet-up — the next meeting is 7 p.m. this Thursday, May 10, and the meeting will be held right here in DBH 226! It’s your chance to meet and mingle with some local podcasters, get tips on audio recording, and on how and where to post your podcasts, etc. Come one, come all!! SALSA LESSONS!! This Thursday from 6 to 9pm in the SJSU Event Center Sports Club, Pi Kappa Alpha Fraternity is hosting salsa lessons. This will be a two part lesson, with the first being basic, individual footwork and styling, and the second lesson being parter dancing. The event costs $8 to get in, but its a good price to pay to learn salsa!!! So bring your friends, your mother, your father, brother, sister, cousin, aunt, your creepy next door neighbor… you get the idea. All are welcome. Lessons will be taught by none other than our very own member, and pro salsa dancer, Anthony Umina. See you all there. Oh, and water will be provided. For my final podcast, I was thinking about doing 3 segments on different aspects of living in the Bay Area. I’m not exactly sure what I want to focus it down into yet, but I’m thinking about things like famous attractions in the area, or even little known places of interest. I feel very fortunate to live in an area with so much to offer, and such diversity, so I think this project would be a good way to explore these resources. I am planning to use this video today when we talk about Fair Use. My podcast project, in one paragraph. 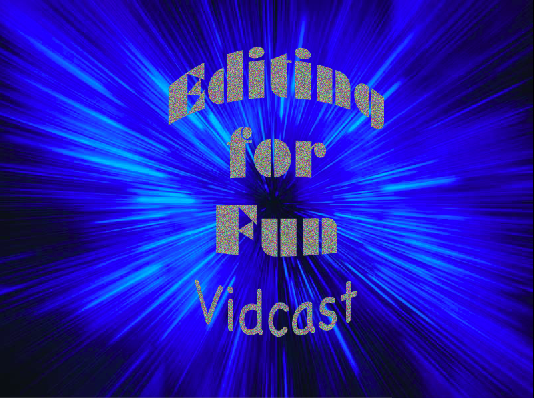 I’m happy to make a podcast about video and audio editing. I will be linking the RSS feed to my Blogger account page so that a forum of conversation is possible to viewers. The episodes will be based on the creation of short projects. The “how I did it’s” and then the finished project itself will take stage. I’ll welcome any comments the viewers my have on the episodes. Moreover, I believe this podcast creation (edit-wise) and the containing projects, will serve me well as a virtual portfolio of small scale works. The photos in this show were taken by Bill Darrough and/or are from the collection of Bill and Jack Darrough. This is an amazing collection of photographs. In a conversation with Bill Darrough’s brother Jack in August of 1988 Jack said, “Bill died in 1942, he was 22 years-old. He suffered from severe teenage acne and they had treated it with massive doses of radiation, which at the time was thought harmless. The radiation cleared his acne but Bill died of cancer.” According to Jack, he and Bill came from a railroad family. The members of a railroaders family were then given passes and could travel free on the nation’s passenger trains. The period that Bill lived in was near the climax of the era of steam railroading in this country. Jack said Bill would pack two suitcases, one with film and the other with sandwiches and the young man would go on trips alone photographing trains. In my opinion had he lived he would have been one of the greatest railroad photographers of the twentieth century. It is an amazing story and so my son Ken and I are trying to tell it. From early 1995 through mid-97, it was possible to buy PowerPC-based clone computers running Mac OS, from companies like Power Computing. They frequently offered better performance at a lower price than true Macs. When Steve Jobs returned to power at Apple one of the first things to happen was the discontinuance of this program. This funny and entertaining music video (complete with Dogcow) was made at the start of that period. I truly believe the future of computing is ultra mobile with always on wireless broadband. Pervasive and wearable computing devices may not even be thought of as computers. This is what it may be like.